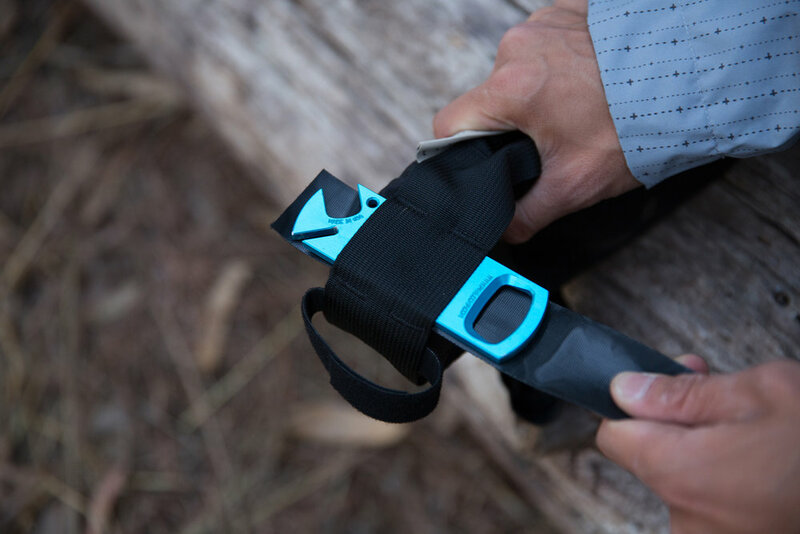 These Half Framebags actually leave room for both your water bottles. Sizing is based on your top tube length. If you want some extra room for carrying your bike, size down. The small version tapers down on one end, making it perfect for large bottles. You can figure out what size is best by measuring your frame from inside the triangle. Here's how sizing works: match up your head tube measurement to the H2 dimensions below. Compare these to find out how far forward the bag will sit. From that point, measure your top tube length and match that up with the L1 dimensions below. If you want extra space for carrying your bike, size down. 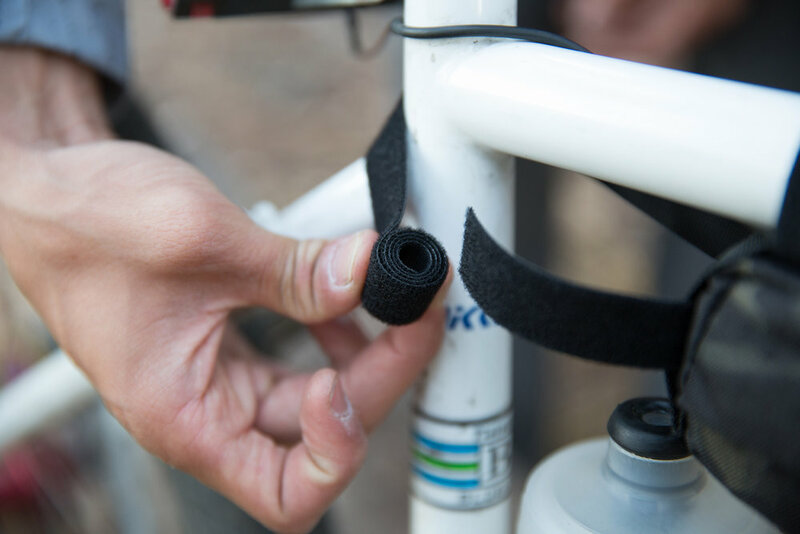 Attach velcro straps tightly to frame. The longer straps can be unrolled on one end to get the right length.